How did I get into diving? I did my ever first dive in 2006, on Castaway island in Fiji. Before that my whole family were divers, and I have always had a passion for being in the water. I don’t remember much about the dive in Fiji, but I just remember the full sensation of being able to be underwater for a long period of time without coming up for a breath which to me was the most amazing thing I have ever done. I attended Western Spring College for high school, and was lucky enough to be picked in the sports academy programme in Year 12. Our outdoors learning was Scuba Diving, so our class did the STAR Course with Dive HQ with this we got the opportunity to learn to dive and obtain a PADI Open Water scuba diving licence. 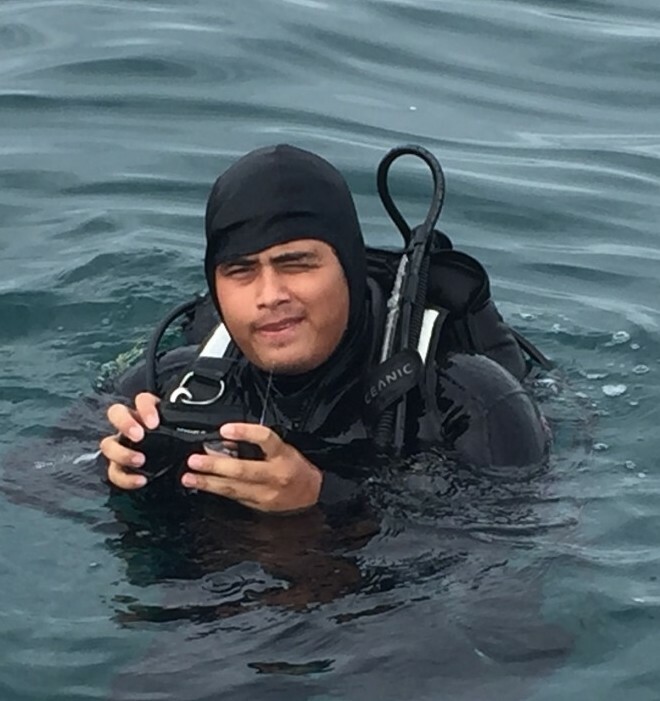 The good thing about doing the STAR diving course (please contact us if you are interested in STAR or Gateway options and we can speak with your teacher) was as well as having a great time learning to dive I also earned credits that went toward my NCEA. I was getting credits for diving! 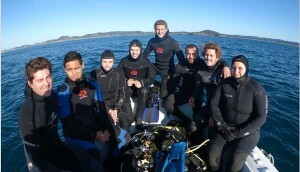 I did my Open Water dives at the Poor Knights Island in Tutukaka which was amazing! In my senior year, I got re-selected for Sports Academy and we ended up doing the PADI Advanced Open Water diver which gave a me an even more fantastic dive experience at the Poor Knights again, except now we could go for a deeper dive. As a PADI advanced diver you can swim down to 18+ metres, you also feel more prepared to take on greater dives such as wreck diving and night diving. Doing the Star course really gave me something I had a passion for and kick started me into my career to become a PADI Dive Instructor. Fast-forwarding to the start 2014 I found myself not wanting to work somewhere that I did not enjoy. So, I thought going to study for a career that I want to actually do would be a start. 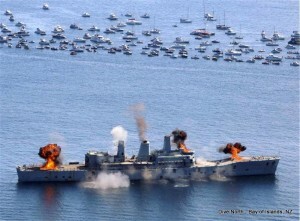 Hearing the Dive HQ ad on the radio about becoming a Dive Instructor really got me thinking that this was something that I would want to do for my future. I was coaching sport already so it fit me well in the teaching aspect of things. A couple of phone calls later, I ended up going to the Dive HQ PADI “GoPro” night which was cool because it was more of an informal get together. The PADI “GoPro” evenings aren’t about the camera you strap to your head. They are an informal get together with a bit of free pizza some informative short films about diving and a presentation about the Diploma Course at Dive HQ Westhaven. It’s a chance to meet current students staff and other divers, and find out whether this Diploma option and career is for you. The evening was friendly, casual and very informative and showed what the Diploma course and the learning year would consist of. After that night I knew I really would want to pursue a career in diving. Going into the diploma course I though because it was a NZQA approved ‘Diploma’, it would be stack on stacks of classroom work (which I hate), and the occasional dive at the end of the week. To my relief, it was quite the opposite! We were practically in the water at least half the week, and a day or two in class which is the way I like to learn. I have never been a book learner, I always learnt better from going and doing the skills or activities, and the Diploma in Scuba is exactly this. The highlights of my course were going and doing all the trips from Taupo drift diving down the Waikato river, to exploring in and around the 3 different shipwrecks we did, Rainbow Warrior, HMNZ Cantebury, HMNZ Waikato. 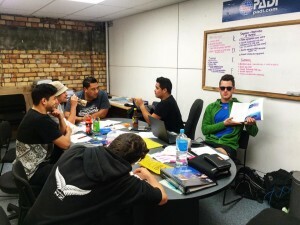 The first trip the class did was the Taupo trip. This trip was one to remember not only because the diving was a lot of fun, but back at the backpackers we all were having a great time bonding and what not. We did the drift dive and snorkel down the Waikato river which was exciting because you are going so fast at some point zooming through falling trees, random debris, and a few treasures. 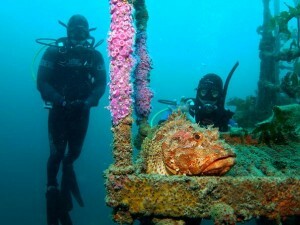 My favourite dives during the course was the HMNZ Waikato wreck. I found that it was so much fun because by the time we did the dive we had been on a couple of wreck dives before and because I was so used to diving wrecks I found that I was confident now to explored a lot more. In the end, I had such a great time throughout the 9 months, with my classmates and with the staff that helped me and pushed me to eventually turning something that I had a passion for, to my career. So enrol now! I promise you will not regret it and you will have a great time exploring and diving new places and all the epic Auckland dive sites that are accessible from Dive HQ Westhaven. I then became a tutor employed to instruct and teach a Scuba Diploma class at Dive HQ Westhaven. Now going from being the student, to teaching the student, to now teaching professional Dive Instructors in training, was an even bigger step in my career. Having a class that I am responsible for nearly 1 year, is really cool in a way because you get to see the full growth on where they started, (sometimes no previous scuba diving at all) to what they become: PADI dive Professionals with First Aid training and Specialty Instructor skills too. I love seeing how much someone progresses with anything they do. Both Full and Part-time students, we get all sorts of people. Some working and doing the course part-time and some looking for a career change too. 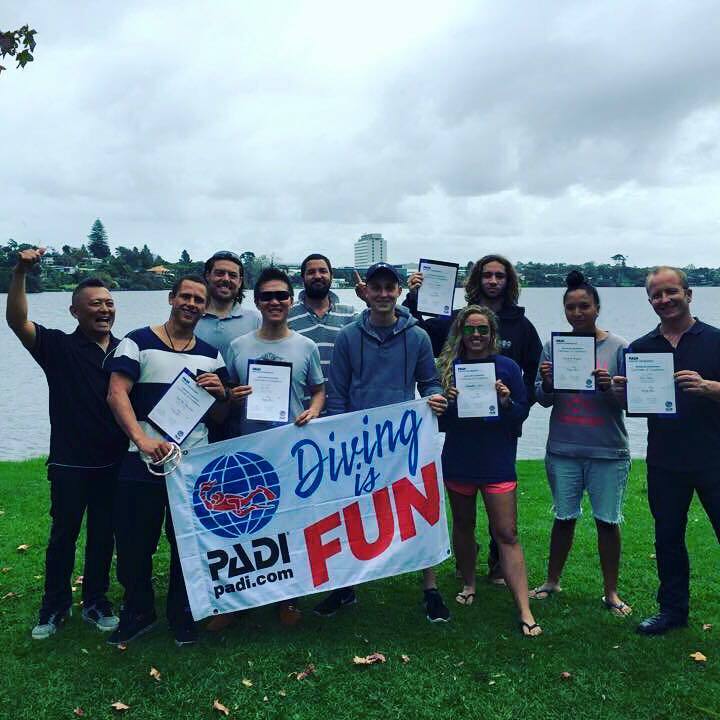 I have now been instructing for 4 years and have meet so many new people throughout my diving career, I have been overseas to dive in amazing places and dived increadible New Zealnd Dive sites too, and that all started with joining the Diploma in Professional Scuba Instruction at Dive HQ. Army, auckland dive shops, Auckland dive trips, auckland scuba, careers in diving, cave diving, cave diving New Zealand, diploma, dive gear auckland, DIve HQ Westhaven, dive shop auckland, dive shops auckland, Dive Trips New Zeland, diving auckland, diving jobs New Zealand, diving lessons auckland, free diving New Zealand, I want to learn to dive in Auckland, learn to dive auckland, NZQA Courses, Police Courses, scuba dive New Zealand, snorkeling, snorkeling auckland, wetsuit New Zealand, wetsuits auckland. permalink.